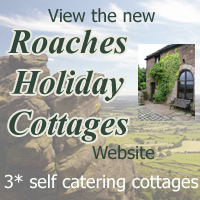 The area is renowned as a paradise for walkers, so it’s no surprise that there's a wealth of fabulous places to explore. 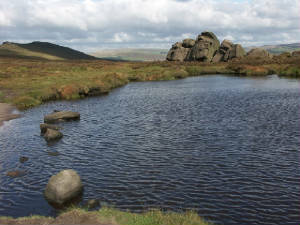 With an extensive network of public footpaths and numerous long-distance trails, over 1,900 mi/3,000 km in total within the Peak Park, as well as large open-access areas, are available for hillwalking, rambling and hiking. 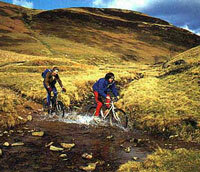 Bridleways are commonly used by mountain bikers, as well as horse riders. Some of the long-distance trails, such as the Tissington, Manifold and High Peak Trails, re-use former railway lines; they are much used by walkers, horse riders and cyclists. There are a number of cycle hire centres around the area at Ashbourne, Manifold, Parsley Hay and Ladybower Reservoir. Wheelchair access is possible at several places on the former railway trails, and cycle hire centres offer vehicles adapted to wheelchair users. There is a programme to make footpaths more accessible to less-agile walkers by replacing climbing stiles with walkers' gates. 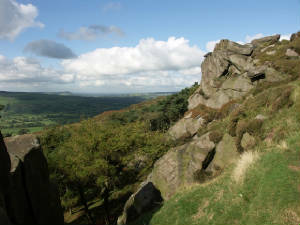 The many gritstone outcrops, such as Stanage and the The Roaches, are recognised as some of the finest rock climbing sites in the world. The Peak limestone also provides many testing climbs! With more than 50 reservoirs and flowing rivers in and around the area, you'll find yourself in the perfect place for sailing, windsurfing and canoeing, with plenty of organised clubs and teaching centres to get you on the water. 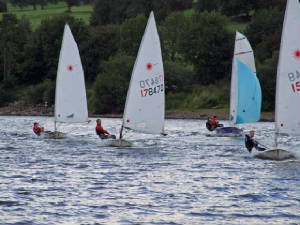 Some of the area's large reservoirs, have become centres for water sports, including sailing, fishing and canoeing, in this most landlocked part of the UK. Extreme sports addicts won’t be disappointed by the range of activities on offer either; take your pick from mountain biking, climbing, caving or air sports like hang gliding and paragliding to get the adrenaline pumping! Or there is even birdwatching with a cup of Tea in the Tea Rooms!